Just thought I'd share a sweet little treat that you could share with... who else, your "sweetie pie"! Heat it up in the microwave for just a few seconds (minus the tin), and your hunny will think you baked a fresh pie just for them! see..now you have an excuse to buy him another one!! I just love how cute and CHEAP they are!! My favorite flavor is the chocolate eclair pie. That. is a dang good pie. perfect timing!! 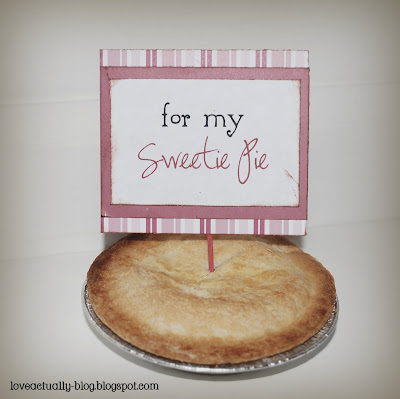 I am making Apple Pie in my food's class next week and what a better way to bring it home then with this cute sign!! aww...food's class. that sounds really fun! I miss school!! I love this, it's so simple, but gets the point across. 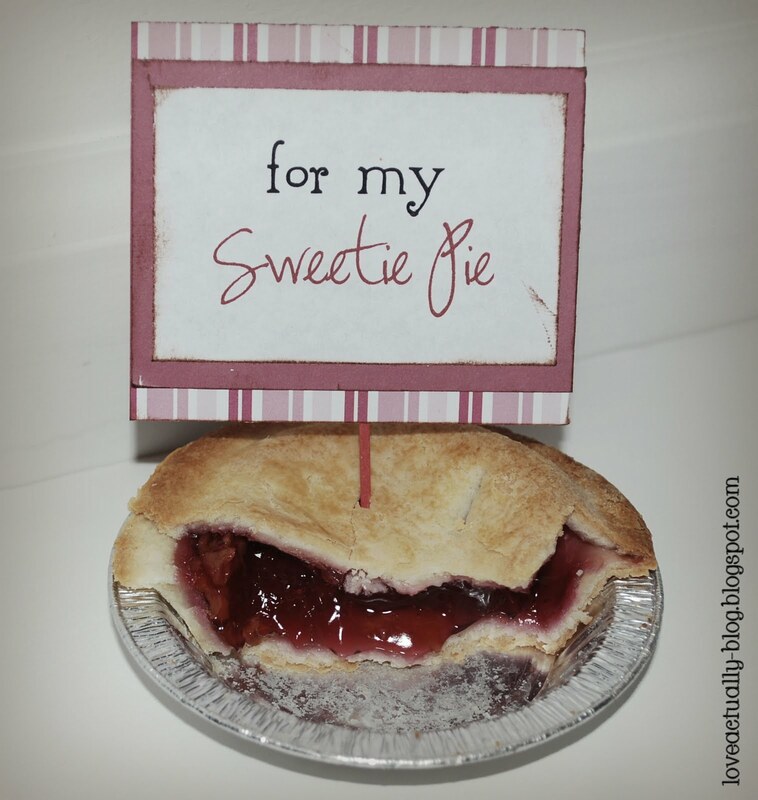 Plus, my husband loves pie. ohh thats very sweet and nice and yummy piece at your desk. I like it and love to see your post here.. Thanks.